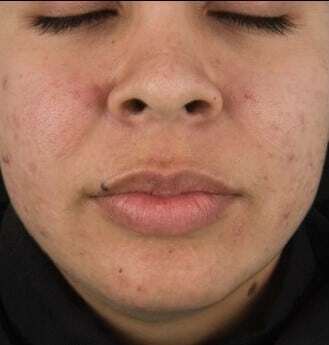 We understand the impact that blemished skin can have upon the way you feel, many of our practitioners have first hand experience of the social difficulties and pain acne can bring with it. The effects of our increasingly stressful lives are presenting themselves in Adult Acne in over 30% of men and 45% of women. As a result, we are incredibly proud to offer a solution that will help to reduce the frequency of your breakouts and improve the overall appearance of your skin. Our anti-acne peel harnesses the powerful combination of Beta Hydroxy Acids and Alpha Hydroxy Acids to treat and heal existing blemishes and significantly reduce the acne causing bacteria, helping to rebalance your skin’s production of oil. The result will be a smoother, fresher looking more even complexion. Results are often visible straight away however optimum benefits will prevail over the weeks following treatment. A course of treatments are recommended for ongoing benefits, skin health and the continued improvement of your skin condition. Book your free consultation online. Free patch test included. Lie back and forget about your skin problems. During treatment, your skin will be cleansed twice and degreased. A highly effective salicylic and glycolic resurfacing solution will be applied to your skin to remove dead skin and boost cell regeneration. A soothing vitamin C enriched masque will be applied following for deep hydration, skin brightening and restoration. Hyaluronic and vitamin C enhanced serums will also be massaged into the skin to boost skin healing and protection. The application of a full spectrum sun protector and lip and eye treatment complete your treatment. The treatment can take around an hour to complete. Afterwards, you can get back to normal right away however we recommend that your skin will benefit from not having make-up applied until the next day to support the restorative process. If you have acne issues, whether a mild problem or something more severe, you can speak to our professional practitioners to discuss your requirements and the suitability of this facial. 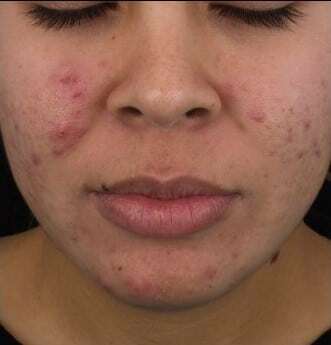 Their expert knowledge will guide your treatment options but most acne prone skin can benefit from this treatment. This includes men and women and different skin types including sensitive skin.